Patricia is a highly sought-after Consultant and Executive Coach for CEOs and C-Suite Leaders. She helps leaders build awareness, sustain focus, and achieve breakthrough performance. She works with some of the world’s most reputable, successful, and world-class organizations. Patricia specializes in top-of-the-house executive development and the development of senior leaders. Sadar has over 25 years of experience successfully leading firms through times of rapid growth and acquisitions. In addition to 20 years of experience coaching, educating, and developing leaders, she has authored three books. She is a professor at Florida International University School of Hospitality Management. She has led programs with the American Hotel & Motel Association, and has taught Organizational Behavior, Team Dynamics, HR Management, Problem Solving, Business Communication, and Diversity & Inclusion classes at varied Universities. She is the lead facilitator of the High-Performance Leadership Program, a program specifically designed for Cruise Line, Hospitality, and Tourism Leaders. Prior to 2005, her experience includes Strategic Human Resources Executive and Operational Roles with major global luxury hospitality companies and lifestyle brands. Patricia specializes in the design and execution of integrated solutions for optimal individual, group, and organizational performance. Her knowledge and passion to share leadership and career advice in a simple way makes Patricia Sadar the speaker of choice for organizations and institutions seeking an energetic, interactive, and inspiring speaker who connects with any audience and provides tools and tips they can put to use immediately. 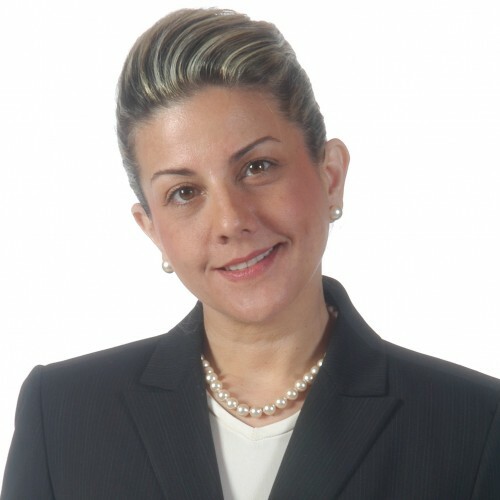 Find out more about Patricia Sadar at http://www.people2strategy.com, www.congratsbooks.com.